Madalyn was brought up in a busy working class pub in the market town of Lutterworth in Leicestershire. The pub was a great place for an aspiring actress and writer to live. There were so many wonderful characters to study and accents learn. At twenty-four Madalyn gave up a successful hairdressing salon and wig-hire business for a place at East 15 Drama College, and a career as an actress. 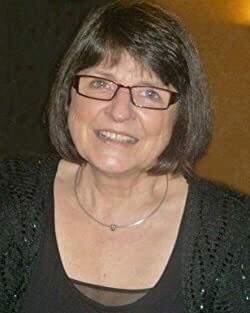 In 2000, with fewer parts available for older actresses, Madalyn learned to touch type, completed a two-year creative writing course with The Writer’s Bureau, and began writing. After living in London for thirty-six years she has returned to her home town of Lutterworth, swapping two window boxes and a mortgage, for a garden and the freedom to write. 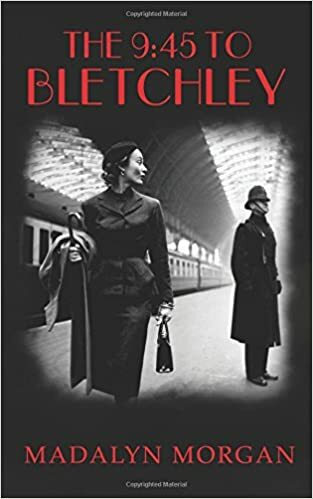 In the midst of the Second World War, and charged with taking vital equipment via the 9:45 train, Ena Dudley makes regular trips to Bletchley Park, until on one occasion she is robbed. When those she cares about are accused of being involved, she investigates, not knowing whom she can trust. While trying to clear her name, Ena falls in love.